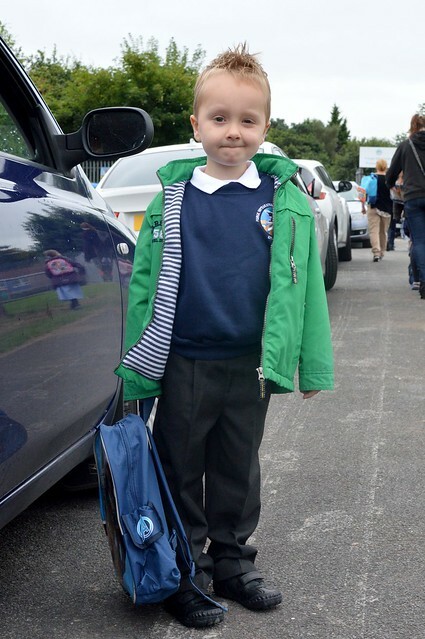 Biggest Starts His Second Year Of School! – die! boredom! die! 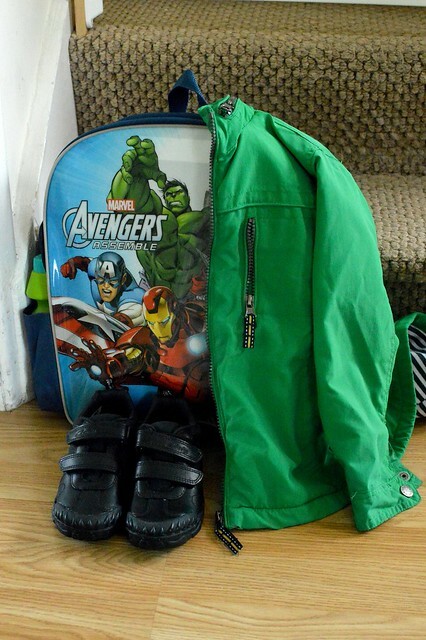 Biggest Starts His Second Year Of School! Today was the biggest day of 2013 for Ollie. 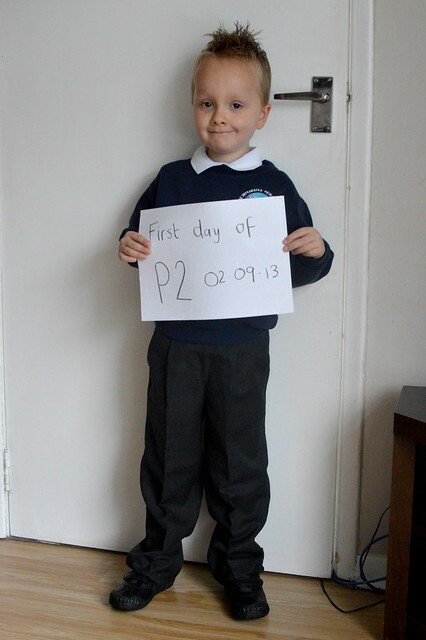 He started his second year of Primary school. He enjoyed his summer holidays but they were hard to fill with exciting things to keep him occupied. While at school he is used to having his time filled (from 9am-2pm) with fun and stimulating things to do… every hour is accounted for… at home, it is so hard to make things structured like that and he spent time telling me each day that he was ‘bored’, even though there is £100’s worth of toys upstairs! Last night we put him to bed at 7pm… even though it has become the norm for him to go to bed after 8pm or 9pm during the holidays. He had no trouble getting to sleep. I made a massive fruit salad this morning for his first day at school. Fruit is his favourite food… a big bowl of strawberries, blueberries, melon and pineapple with almonds and sugar sprinkled on top. 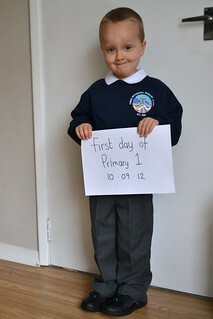 He then got dressed in his super smart uniform, I took some photos and off we went. 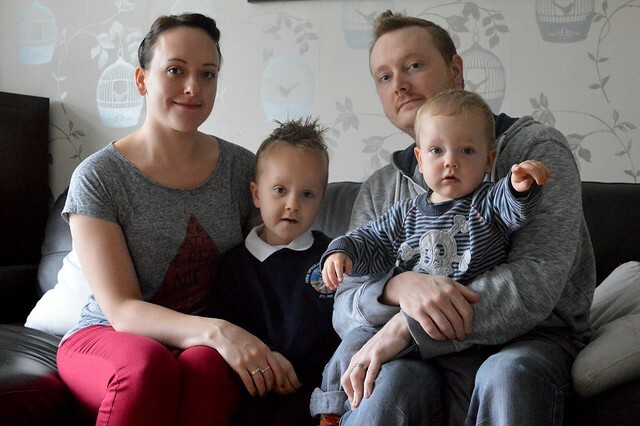 This year he has a brand new teacher called Mrs. Salmon. I had not met her before today and I think she seems quite nice. 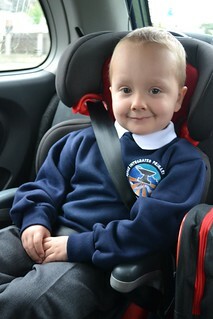 Ollie was not nervous at all and walked into school as if he had never been away. So confident. When he had his indoor shoes on and had found his friend Max, he told me I could leave and then got on with drawing on the whiteboard. I called “bye” to him and he waved at me without glancing over his shoulder… sigh… he needs me less and less! He really enjoyed his day, he told us that no-one got into trouble and that his favourite thing in the classroom is the new space section! Space is their first topic this term! We took him to Barnams to get icecream after school and James made hotdogs for dinner as per Ollie’s request. 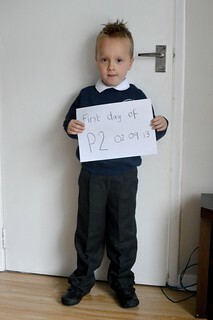 I hope he keeps the same enthusiasm for school throughout his time there, as he has now. 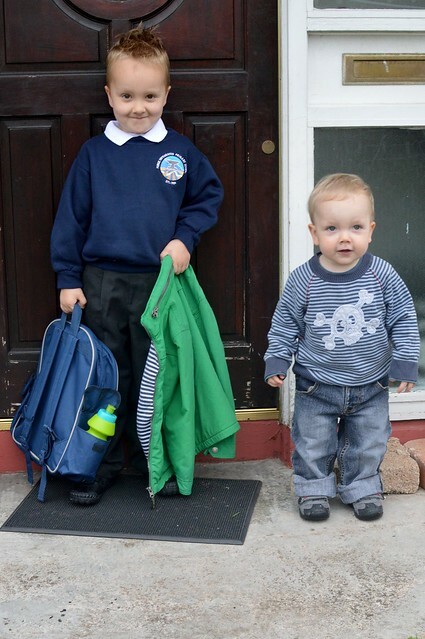 …and just for the sake of nostalgia… here two photo comparisons between last year, his first day of school ever… and this year! I am so proud of my biggest boy. So sweet! I just love uniforms. They make everything so much easier. I LOVE the comparison photos! He looks like he’s growing up quickly! It sounds like he has had a wonderful start of the year. 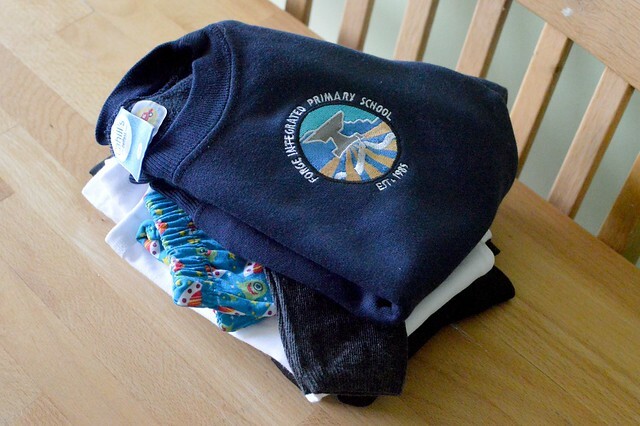 He has truly grown up in the past year.Please think about linking this post to my Back to School Traditions link up. First of all, you make beautiful babies and should consider doing that for a living :)I think that it’s hilarious that he told you that no one got in trouble…was he trying to hide something? Kidding.It’s my son’s second year too. 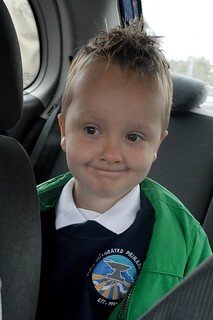 In Canada we have Junior Kindergarten and Senior Kindergarten…he’s a Senior…they grow to fast!! Ollie is darling! Love the uniform and love little brother standing next to him! If he needs you less and less, it means you are doing your job! I hope he has a terrific year! My boy started P2 too. I don’t know where the time has gone. I love the two photo’s you have standing by the door, this can be a lovely tradition for you!